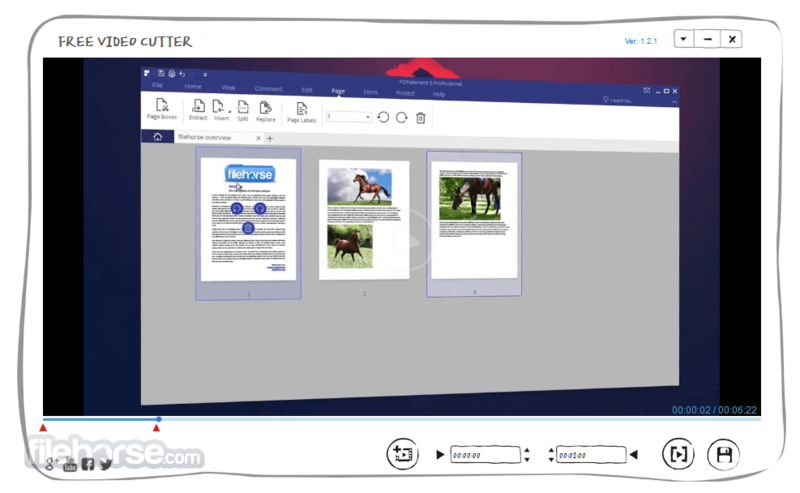 Practical HD Movie Cutter Freeware for Cutting Videos! 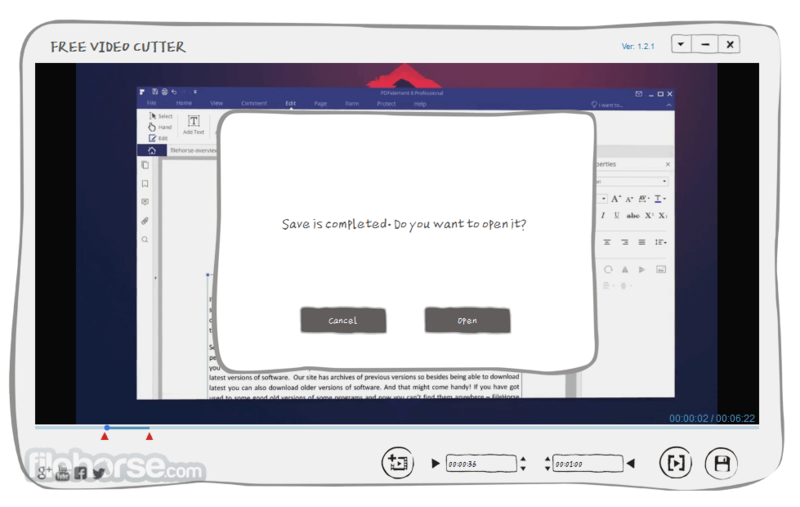 Gihosoft Free Video Cutter is a 100% free and clean video MP4 cutter for Windows PC. You can use this app to cut out a clip from a long video in 3 easy steps: import a video file, set a time range for cutting, and save as new video. Spin buttons and preview function can help you make a perfect video clip. Support various formats: AVI, MPEG, MPG, VOB, RM, ASF, WMV, 3GP, MKV, FLV, MOV, DVD or MP4. Easy import and quick output without quality loss. Accurately control every second of the range for cutting. Compatible with Windows 10, 8.1, 8, 7, Vista, XP, 2000. 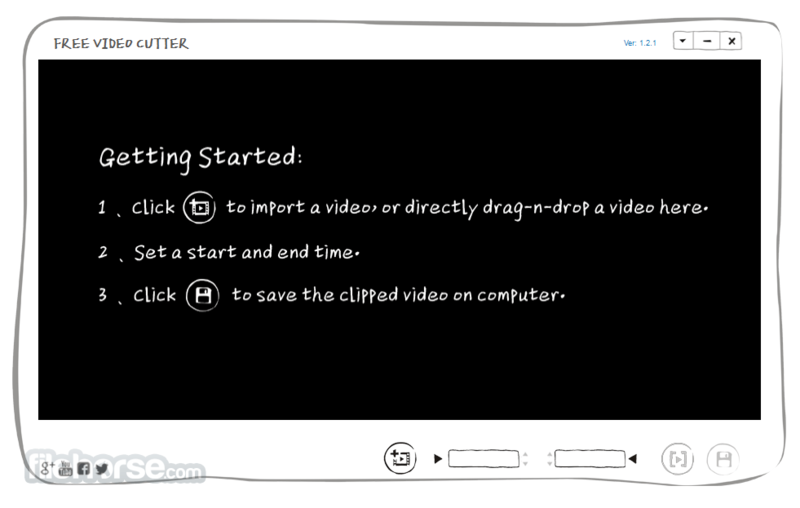 Download Gihosoft Free Video Cutter today! 100% Free Full Version Video Cut Assistant for PC! Import or drag-and-drop videos in various formats to the program without lag. AVI, MOV, MPEG, RM, ASF, WMV, 3GP, MKV, FLV and MP4 are all supported by this free video trimmer. 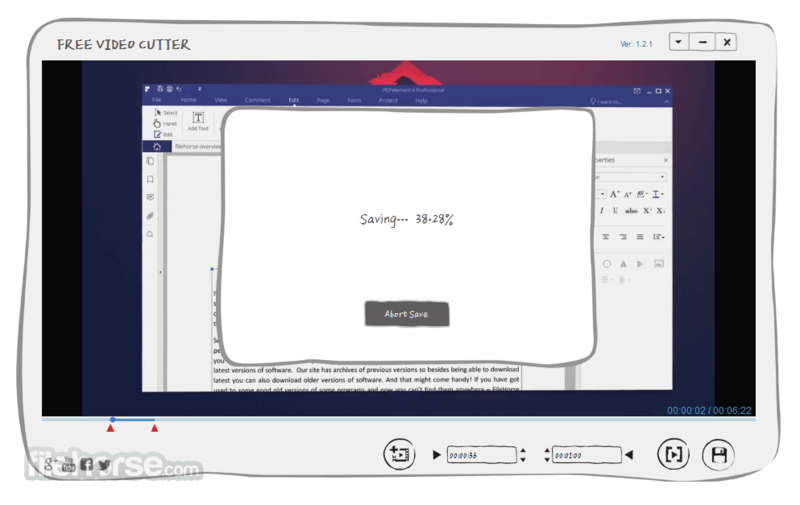 Freely set start point and end point with instant preview. With spin buttons in this HD video cutter app, you can precisely control every second of the video. Won’t give you more than you want. 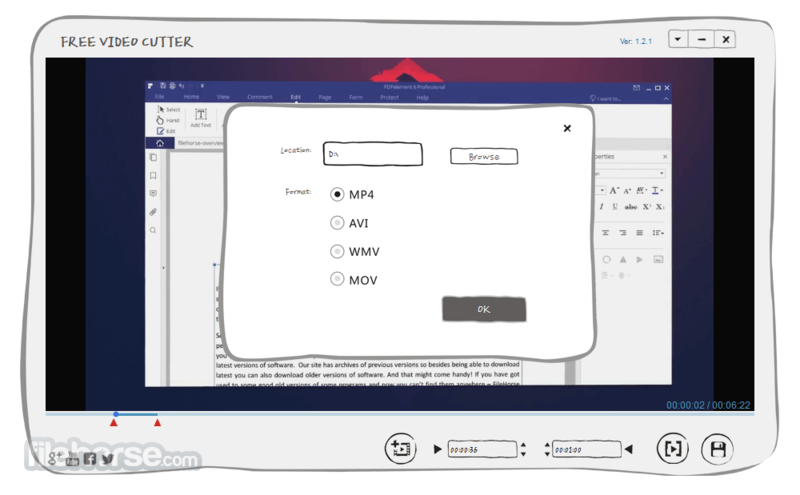 This video clipper allows you to save your work as a new video in several alternative formats with original quality. Ensure you’ll get a new and better video through the work. All complicated technologies are hidden behind the clean and hand-drawn interface. You’ll deal with a simple and practical video splitter program. No bother of advanced operation.